If you follow me on Twitter you may already have noticed this when it went live yesterday, but say hello to the first ever Esty Lingerie blog awards! I do have two ‘blog awards’ posts from previous years (here and here) but they were basically just lists of blogs that I enjoyed reading at the time. I started thinking about 2015’s list and realised it was going to be utterly impossible for me to narrow it down to just 1 blogger per category – I’ve discovered so many fantastic new blogs this year that I now read regularly – so I thought that for a change and a bit of fun, I’d let you guys do that part for me this time round! Also, I do feel like lingerie bloggers get short shrift as far as blog awards usually go. The UK Blog Awards have fourteen different categories under Fashion & Beauty but still not a Lingerie one, and generic fashion blog awards rarely if ever include lingerie bloggers. So consider this an awards especially for all the amazing lingerie bloggers who are either intentionally or unintentionally excluded from the rest of them! And of course, being an ‘official’ awards this year, there had to be prizes! So the winning bloggers in the Luxury, Small Busts, DD Plus and Reviews categories will all be eligible for a £50 Christmas shopping spree at Esty Lingerie if they want it, and the winner of Best Overall Lingerie Blog a £75 one. It would also be lovely to have more people voting than just the nominees’ friends and family. I’d love to get as many of my blog readers, social media fans and newsletter subscribers involved as possible, so there’s a little incentive for you too – as well as giving your favourite blogger a chance to win a prize, you’ll also be entered into a £50 gift voucher prize draw as a thank you. One final note before I sign off – a few people have emailed in to ask how the nominees were selected. 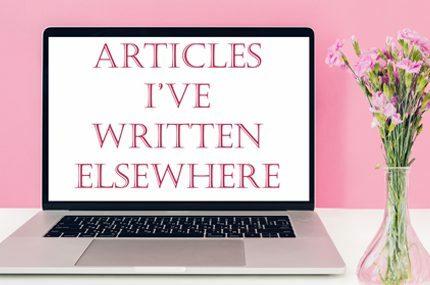 It was a combination of things ranging from image quality to blog design to how regularly the blog is updated (and obviously, written content), and I excluded retailer blogs. There are plenty more blogs that aren’t nominated that I do like and read regularly. Now, over to you! Head here to see all 30 nominees and cast your vote(s), and remember to get your votes in before the 14th of December deadline. There’s an FAQ on that page, but if you have any other questions just comment below and I’ll get back to you! 2015 Esty Lingerie Blog Awards: Revealing the Winners!